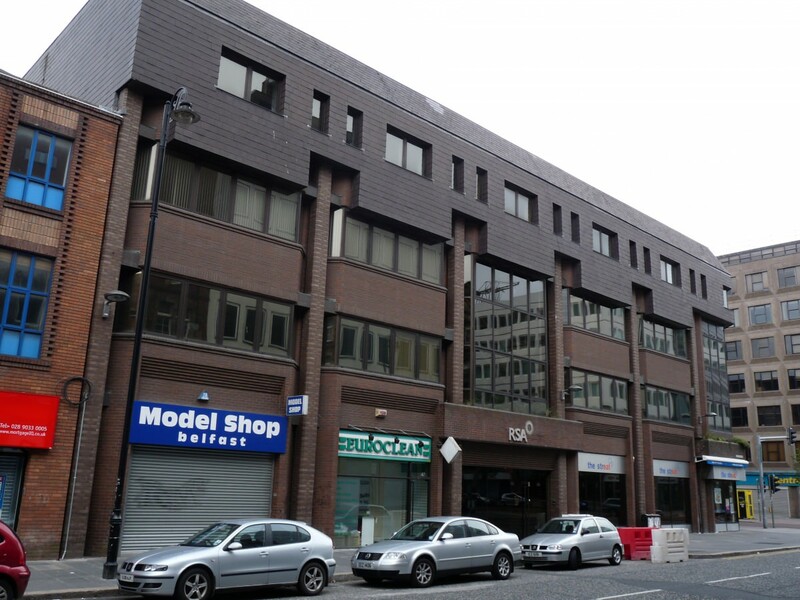 Four storey office building with ground floor commercial units at the corner of Queen Street and Wellington Place. Designed by Hobart & Heron Architects for McKinney Estates and built 1985 – 1986. The building occupies the site of the Evangelical Union Meeting House, built 1858 by John Boyd. 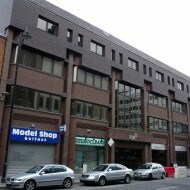 This was later replaced by a 7-storey building called Kingscourt, designed by W.J.W. Roome for Mr Alex King, coal merchant. Kingscourt was built 1899 – 1901 by McLaughlin & Harvey. The building was severely damaged by fire bombing in 1974 and was demolished soon after. The site was used as car parking until construction commenced on the current building (Sun Alliance House) in 1985.